In his magnificent prologue to his gospel, John the Evangelist presents Jesus as the preexistent and incarnate Word of God who in the fullness of time became a human like us. Like the God of the Old Testament “tabernacled” among his people, the Son of God also dwelt among us as Jesus of Nazareth. His glory was visible to the people. He disclosed God’s grace through his miracles of mercy and discoursed the truth about God. John the Baptist testified Jesus as one ranking ahead of him. The law given through Moses was perfected through the grace and truth manifested through Jesus. Only Jesus could show us the truth of heaven because he came from the Father and only he had seen the Father. (14) And the Word became flesh and made his dwelling among us, and we saw his glory, the glory as of the Father’s only Son, full of grace and truth. (5) John testified to him and cried out, saying, “This was he of whom I said, ‘The one who is coming after me ranks ahead of me because he existed before me.’” (16) From his fullness we have all received, grace in place of grace, (17) because while the law was given through Moses, grace and truth came through Jesus Christ. (18) No one has ever seen God. The only Son, God, who is at the Father’s side, has revealed him. John, being a Theologian and visionary, gives a comprehensive prologue at the beginning of his gospel from verses 1-18 of chapter one. It states the theses or main themes that are illustrated later through the actions and preaching of Jesus Christ. (14) And the Word became flesh and made his dwelling among us, and we saw his glory, the glory as of the Father’s only Son, full of grace and truth. The phrase “dwelt among us” is also translated as “tabernacled among us.” When John the Evangelist says, the Word (Jesus) “made his dwelling among us,” it reminds the readers of the dwelling of God among the Israelites in the Old Testament times, though Jesus’ dwelling is in a human form. 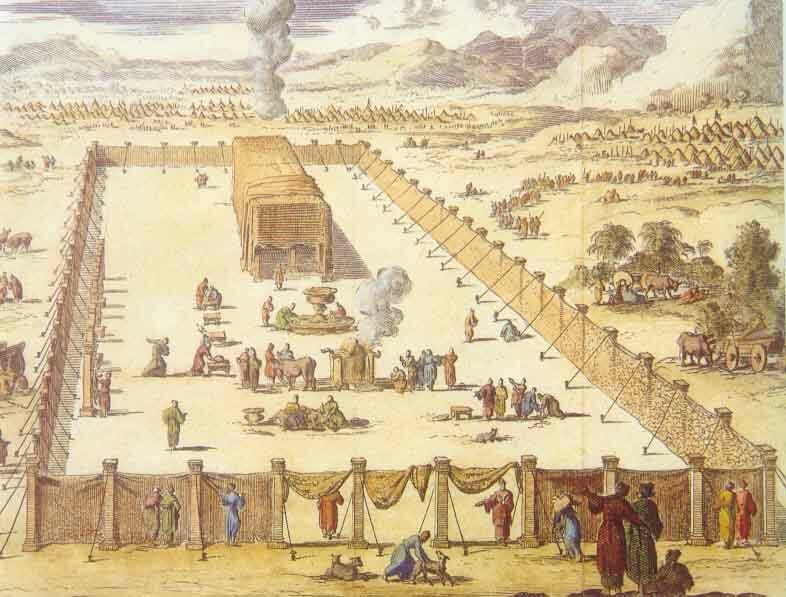 During the time of Exodus, Israelites had God’s tent or tabernacle in the middle of their tents. That was God’s meeting place with his chosen people and God’s glory was visible there. (Exodus 25:8). This presence of God continued in the Temple of Jerusalem built by King Solomon. Once that temple was destroyed by the Babylonians because of the sin of the people, the glorious presence of God was missing even in the reconstructed temple under the leadership of Prophet Ezra and later by King Herod the Great. The incarnate Word in the human form was the new mode of God’s presence among his people. That was a better presence because unlike the Old Testament period, this presence of God was more tangible and accessible to all people at that time. The glory of the Lord means the presence of God. It is known as Shekinah which means “that which dwells.” Though that term is not used in the Bible, its concept is clear. Shekinah was coined by the Jewish rabbis to signify the dwelling of God on this earth. It was first visible when the Israelites departed from Succoth escaping from Egypt. The Lord appeared to them in a cloudy pillar during the day and a fiery pillar by night. (Exodus 13:20–22). The Lord’s glory later filled the tabernacle. “Then the cloud covered the tent of meeting, and the glory of the LORD filled the tabernacle.” (Exodus 40:34). This glorious presence of God continued in the temple of Jerusalem (1 Kings 8:10–11). Seeing the glory of God is not equivalent to seeing God face to face as we see one another. “As Moses entered the tent, the column of cloud would come down and stand at its entrance while the LORD spoke with Moses.” (Exodus 33:9). Though Exodus 33:11 says, “The LORD used to speak to Moses face to face, as a person speaks to a friend” what Moses saw was not the face of God but a column of cloud. It was visible also to the Israelites. (Exodus 33:10). Moses requested God to allow him see God’s glory. (Exodus 33: 18). God’s response was, “But you cannot see my face, for no one can see me and live.” (Exodus 33:20). It is like no one can look at the sun with the naked eyes at noon and preserve the eyesight. So, God allowed Moses to see only God’s back. (Exodus 33:23). Jesus Christ affirmed that “No one has ever seen God. The only Son, God, who is at the Father’s side, has revealed him.” (John 1:18). In the New Testament, we see God’s glory in Jesus because God dwelt among us through the incarnation of Jesus. According to St. Paul, “in Christ all the fullness of the Deity lives in bodily form.” (Colossians 2:9). That is why Jesus said to Philip, “Anyone who has seen me has seen the Father.” (John 14:9). Since Jesus came to this world in a humble human form, people did not see his full divine glory but could see him with human eyes. His glory was partially revealed to Peter, James and John on a mountain and they were terrified. (Matthew 17:1-13). So, John says, “the Word became flesh and made his dwelling among us, and we saw his glory.” We will see Jesus and his Father as they are in their full glory when Christ reappears. (1 John 3:2). Jesus manifested his glory through the miracles he performed. The miracle of turning water into wine at the wedding of Cana was the beginning of showing his glory. “Jesus did this as the beginning of his signs in Cana in Galilee and so revealed his glory, and his disciples began to believe in him.” (John 2:11). The disciples believed in Jesus as the Messiah because of these signs of glory. The glory that Jesus demonstrated was also the glory of his Father. Before rising Lazarus from the dead, Jesus said of his illness, that it “is for the glory of God, that the Son of God may be glorified through it.” (John 11:4). Jesus shared his glory with his disciples. (John 17:22). Grace stands for the divine mercy of Jesus. Instead of punishing us for our sins, Jesus took up on himself the punishment for our sins, rescued us from eternal damnation, sanctified us, and will present us to his Father at his second coming. It is only because of Jesus’ saving action we are eligible for eternal salvation. Isaiah wrote 700 years before Christ on how Jesus was going to show his grace toward humanity: “Surely, he took up our pain and bore our suffering, yet we considered him punished by God, stricken by him, and afflicted. But he was pierced for our transgressions, he was crushed for our iniquities; the punishment that brought us peace was on him, and by his wounds we are healed.” (Isaiah 53:4-5). There are times when a child makes a mistake and become helpless. Then it is the parent who suffers for the child and rescues the child from the fault. God the Father, sent his only Son Jesus to do the same for us His children who are in helpless situation. So, Jesus fought for us against the devil, suffered for our cause by taking up our iniquities upon himself, and offered himself as sin offering for us. Without Jesus, we could not achieve this. No other religion has a god that would show such grace to the believers. Humbling oneself as a suffering person, sacrificing for the faithful, and forgiving the faults of those who hurt him are characteristics of this incarnate God. Grace is something that we could not achieve by ourselves. Yet Jesus did it for us sinners. The imitation of Christ is taking up the acts of grace or mercy of Jesus in our lives. The mercy shown by the father in the story of the prodigal son (Luke 15:11-32), the rescue and forgiveness Jesus gave to women caught in adultery and brought to Jesus for stoning to death (John 8:1-11), Jesus praying for forgiveness of those who crucified him (Luke 23:34) are some examples for us to learn from the grace of Jesus. Truth can be better understood by analyzing it opposite, lie. In the story of the fall of Adam and Eve, God told them the truth and the serpent lied to them. (Genesis 3:1-3). The first parents believed the lie and followed the liar than the truth. Throughout salvation history, God told the truth through the Law and Prophets. Many followed the truth and most went away from the truth and worshipped false gods. Turning away from the truth is sin. Jesus said, “I am the way and the truth and the life” (John 14:6). Jesus identified himself with the truth. He did not just talk about God, instead, he showed how God was like. There were many false leaders during the public ministry of Jesus. But they were the blind leading the blind. (Matthew 15:14). Jesus is the only truth because he is also God. He said to the Jews who had believed Him, “If you continue in My word, you are truly My disciples. Then you will know the truth, and the truth will set you free.” (John 8: 31-32). The lie might give a temporary escape; but that won’t last and might lead to destruction. Jesus told the truth and was crucified. That later paved way for his victory over death. The martyrs of the church and other witnesses of Christ stood for the truth and suffered. They still live in heaven and in the devotions of the believers. Being truthful to our doctor, confessor, lawyer, parent or friend is necessary for our success in destress. The lie of the devil brought punishment to humanity. The truth of Jesus leads us to victory over devil and sin. John was six months older than Jesus. Still, Jesus existed before John because Jesus the Word was with God and was involved in the creation. John acknowledges his inferiority before Jesus. There are three variants of translations for this verse. When we read “grace in the place of grace,” it can mean the new covenant of Jesus replacing the old one of Moses. If we translate “grace upon grace,” it means accumulating the grace of Jesus over the grace received through Moses. Another translation is “grace for grace,” which can mean grace of Jesus corresponding to the grace given through Moses. When we view it independent of the old law given through Moses, the meaning is that through Jesus we receive plenty of grace one after another. (17) because while the law was given through Moses, grace and truth came through Jesus Christ. Before the coming of Jesus, the Israelites were ruled by law given through Moses. Regardless of whether they like them or not, whether they understood their relevance or not, they had to keep the laws like slaves obeying their masters. However, Jesus perfected the law by making it as loving direction of a father on his children. So, in the place of a mere law giver and judge, Jesus presented God as a loving parent. (18) No one has ever seen God. The only Son, God, who is at the Father’s side, has revealed him. Though there were manifestations of God like shekinah cloud or fire, no one had seen God directly and no one had clear understanding of heaven. Until Jesus opened the gates of heaven for us, we were not eligible to enter the gates of heaven. The saints who died before Jesus were resting at the bosom of Abraham and were waiting for victory of Jesus to regain the lost paradise. This shows the son’s closeness or intimacy to the father and the authority the son shares with his Father. Usually the one who is close to a person in authority will recline with him. The prime minister sits at the side of the king. 1. We are fortunate to experience the presence of God in our midst. Though we cannot see Jesus as a human person at present, we see, listen and receive him in the Holy Mass. 2. The grace of God came to us through Jesus. Jesus shared that with his apostles and their successsors who handed over to us. We need to extend the same grace we received from Jesus to our fellow human beings by our acts of mercy and self-sacrifice. 3. Jesus is the truth that will set up free. Let us follow the true teachings of Jesus so that we are in the right direction to heaven.